2016 was a year of milestones and discoveries for Emory. The university celebrated the selection of Claire E. Sterk as Emory's 20th president, while faculty and students made headlines with breakthroughs in fields ranging from autism to civil rights cold cases. 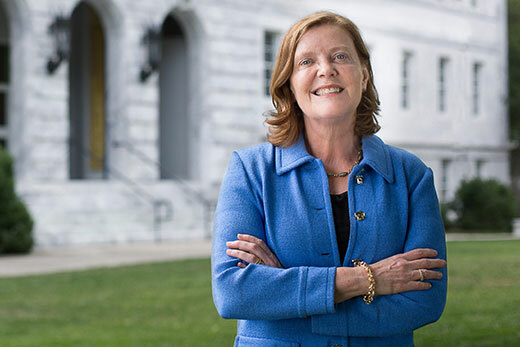 The Emory University Board of Trustees announced June 3 that Claire E. Sterk, provost and executive vice president for academic affairs at Emory, had been selected as the university’s 20th president, and the first woman to hold the position. Sterk was the unanimous choice presented to the Board of Trustees by a 15-member Presidential Selection Committee that dedicated six months to an intensive national and international search, and was unanimously elected by the Trustees. Sterk assumed the role on Sept. 1; learn more about her experience and priorities in an extensive interview. 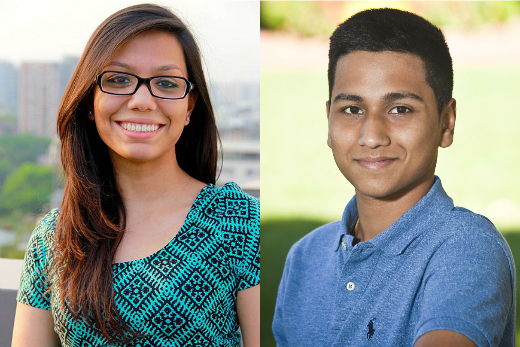 Two Emory students, Abinta Kabir and Faraaz Hossain, were among those taken hostage and murdered by terrorists in the July attack in Dhaka, Bangladesh. Kabir, who was from Miami, was a rising sophomore at Emory’s Oxford College. Hossain, a junior from Dhaka, was a graduate of Oxford College and a student at the university’s Goizueta Business School. In the wake of the tragedy, Emory students and faculty remembered the two friends for their kindness, intelligence, generosity and leadership. They were honored this summer in Atlanta during an interfaith vigil in Cannon Chapel on Emory’s main campus and in August during a memorial service held at Oxford College. Hossain has been hailed as a hero for his decision to stay with his friends after the gunmen separated local Muslims from foreigners and non-Muslims, and released some Bengalis. Arms linked, five Emory University students stood silently in the muddy cemetery, their cheeks damp with rain and tears. It was a moment none could have imagined when they signed up for a class focused on the Georgia Civil Rights Cold Cases Project — a moment set in motion by an act of bravery almost 70 years ago, brought full circle now through research, determination and what more than one person called a "miracle." Isaiah Nixon, an African American man who had dared to vote in the 1948 Democratic Primary in Montgomery County, Georgia, was gunned down by two white men on his front porch. 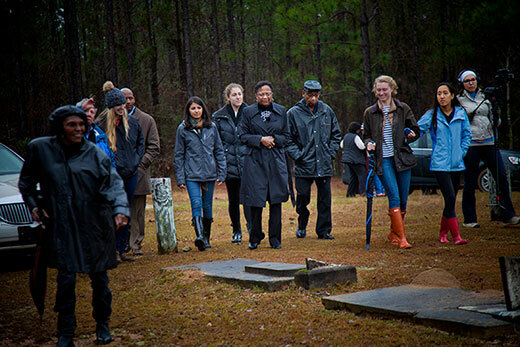 His family fled to Florida shortly after his death, and his grave was lost to time — until Emory students found it on a visit to a rural cemetery as they investigated his case. In January, they returned there with Nixon's daughter, who invited them to be with her when she visited the grave for the first time. A new study conducted by researchers at Marcus Autism Center, Children’s Healthcare of Atlanta, and Emory University School of Medicine helps put to rest a longstanding controversy and question about children with Autism Spectrum Disorder. While reduced eye contact is a well-known symptom of autism used in early screeners and diagnostic instruments, why children with autism look less at other people’s eyes has not been known. 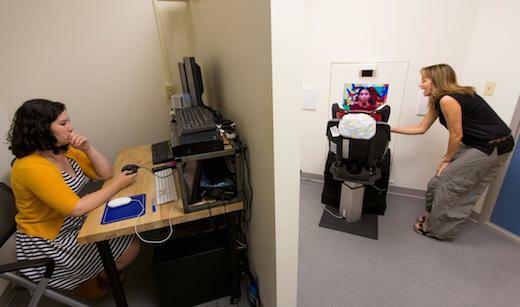 Eye-tracking measures developed by the group demonstrate that young children with autism do not avoid eye contact on purpose; instead, they miss the significance of social information in others’ eyes. Beyond improved test scores — average SATs were up 15 points over last year, marking the highest ever for Emory College of Arts and Sciences — admission officers also saw students who exemplified what they most hope to see in applicants, “a sense of academic engagement, preparation, talent and scholarship potential that has really moved forward,” he says. 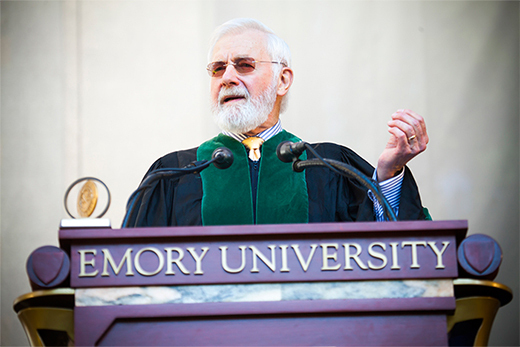 William Foege, the renowned epidemiologist credited with creating the global strategy to eradicate smallpox, gave the keynote address at Emory's 171st Commencement on Monday, May 9. In a keynote address infused with warm, witty anecdotes about his own life experiences, the former Emory public health professor once again embraced an educator’s role, urging Emory’s Class of 2016 to move forward seeking connections, equity and justice to become their own healing force in the world. Emory University is ranked 20th among the nation’s top universities in the new 2017 Best Colleges guidebook from U.S. News & World Report. 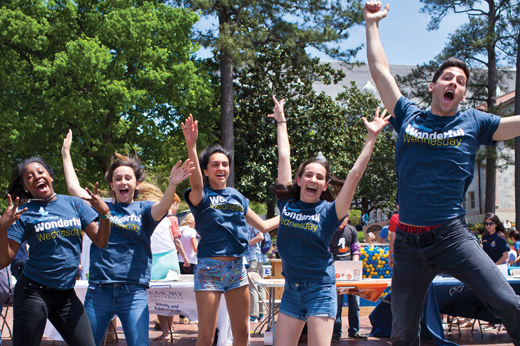 In addition, Emory was listed as 17th among national universities offering the “best value” to students based on a combination of academic quality and the average level of need-based financial aid. Emory also was ranked 11th among national universities that are the "best colleges for veterans," offering military veterans and active-duty service members "benefits that can help them make pursuing a college education more affordable." Goizueta Business School, which is ranked separately from the university’s main undergraduate program based on a peer survey of deans and senior faculty, was 15th in the undergraduate business rankings. Emory's graduate programs also ranked well in U.S. News and World Report's separate America's Best Graduate Schools guide. The Nell Hodgson Woodruff School of Nursing's master's program ranked 8th in the nation; its family nurse practitioner specialty ranked 10th. Goizueta Business School's full-time MBA program ranked 19th, its part-time MBA program 13th. The School of Medicine ranked 23rd nationally among research-oriented medical schools, and was 29th among primary care schools. Emory Law School ranked 22nd in the nation. Several other graduate programs were not newly ranked this year, meaning that Emory's Rollins School of Public Health remains ranked 7th in the nation. Emory's and Georgia Tech's joint Biomedical Engineering PhD Program ranked 2nd in the nation for the 10th consecutive year. Emory's Division of Physical Therapy ranked 5th nationwide, and the Physician Assistant Program, which was ranked last year, remains 3rd in the nation. The University's PhD Program in Clinical Psychology, which is part of the Laney Graduate School, ranked 11th. The Atlanta Hawks Basketball Club and Emory Healthcare are partnering to build a first-of-its-kind training and sports medicine center on Executive Park Drive in Brookhaven, which will serve as the team’s official practice site. The privately funded facility will feature the most advanced technology in sports medicine and athletic care built within a state-of-the-art training center with amenities. Over the summer, ground was broken on the 90,000-square foot facility, which will also house the Hawks Basketball Operations Department. 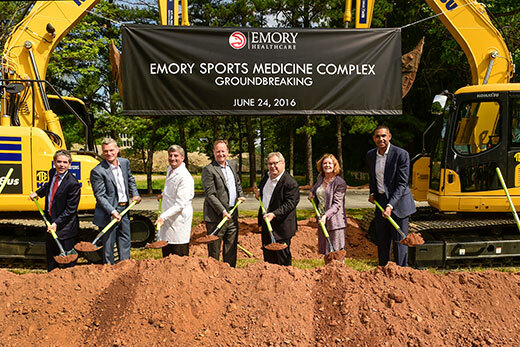 In addition to the naming rights entitlement of the training and sports medicine facility, Emory will become the official sports medicine provider of the team. Fifteen percent of Americans have clinical depression during some portion of their lives. A third of those have major depression: suicidal thoughts, a sense of disconnection from the world. For a few of those, the entire arsenal of traditional treatments — therapy, medications, even electroconvulsive therapy — doesn't work. These are the patients Emory neurologist Helen Mayberg treats with deep brain stimulation, a special type of brain surgery using electrodes for treatment-resistant depression, and she has achieved promising results. 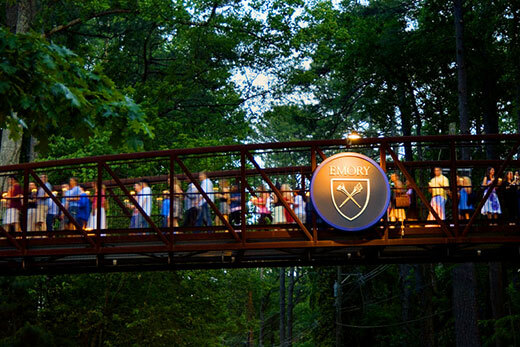 In a new ranking of top colleges and universities in the United States by The Wall Street Journal and Times Higher Education, Emory University ranked 17th out of 500 national public and private universities. 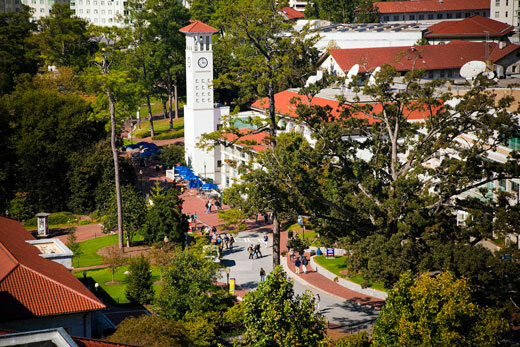 Emory was the only Georgia institution included in the top 20 on the inaugural ranking. According to the WSJ/THE, the inaugural ranking “offers a fresh perspective” by evaluating colleges “the way prospective parents and prospective students do.” Specifically, the ranking drew information from 15 factors in four categories: student outcomes, school resources, student engagement and the learning environment (diversity). The ranking also incorporated results from a survey of 100,000 college students on questions about student experience and engagement. Clifton Road will soon be a wide, tree-lined corridor welcoming students, faculty, staff, patients and other visitors to Emory University and Emory Healthcare facilities. Clifton Streetscape, a project to improve access, safety and aesthetics along Clifton Road, began in June and will continue until late spring/summer 2017. The extensive construction effort centers on Clifton Road from North Decatur Road to Haygood Drive/Eagle Row. It includes widening of the road and sidewalks, a bike lane, repaving of Clifton Road, new landscaping and improved visibility of intersections along Clifton Road. 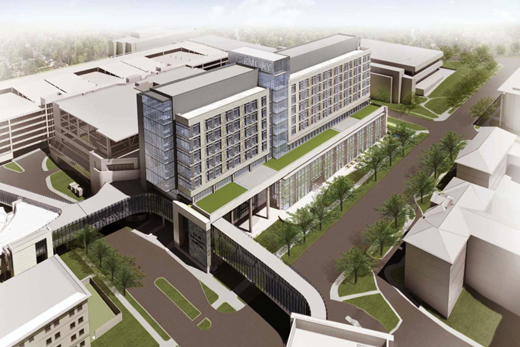 A separate project is also underway to construct a new pedestrian bridge over Clifton Road to connect Emory University Hospital's new J wing to the existing hospital, replacing the current bridge. 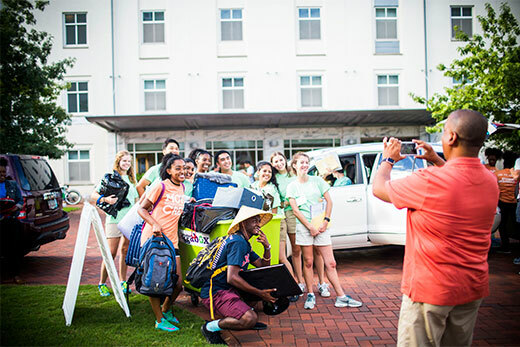 In August, Emory University welcomed 1,867 first-year students ready to begin their college journeys. The incoming class brings top test scores and grades, along with the years of community service and athletic and artistic achievement that signal a sense of engagement and drive. The tremendous variety of incoming students' backgrounds and accomplishments mirrors the breadth of their academic interests in the humanities, sciences and arts. That diversity is reflected in the Emory Scholars Class of 2020, students receiving the university's top undergraduate scholarships. 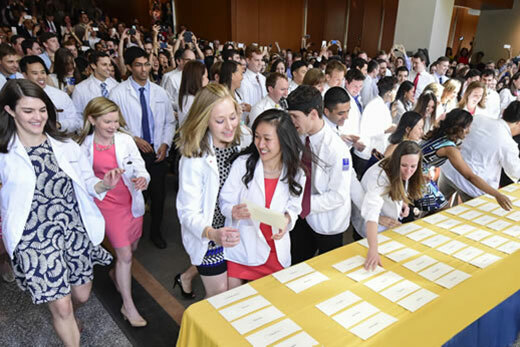 Opening their Match Day envelopes in unison at noon on Friday, March 18, approximately 126 graduating medical students of the Emory University School of Medicine Class of 2016 erupted in shouts of delight and tears of happiness as they learned where they will begin their careers as doctors. The students gathered with faculty, staff, friends and family during the suspenseful ceremony. Match Day is the annual, nationwide pairing of graduating medical students with postgraduate residency training programs. 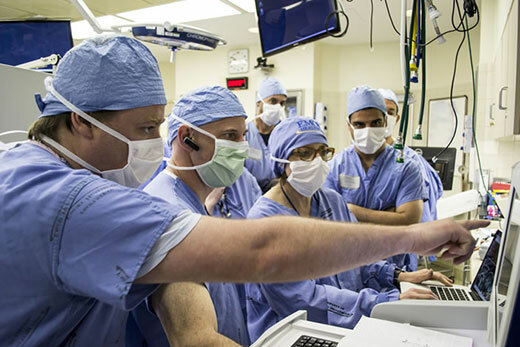 The Emory students were among more than 18,000 U.S. medical students who applied for residency positions at U.S. teaching hospitals through the National Residency Match Program. 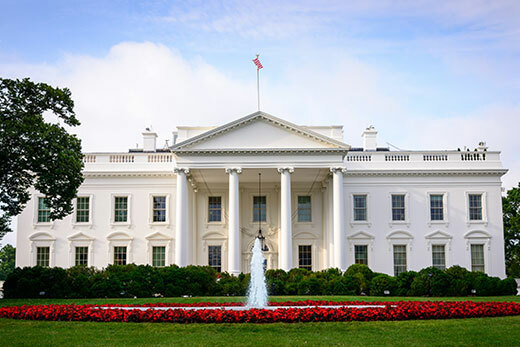 The election of Donald Trump as the 45th president of the United States left many people wondering what lessons can be gleaned from an unpredictable and often polarizing presidential race. Emory faculty experts helped lend clarity and context to some of the key issues that emerged during the historic race, from the future of health care and a fast-changing political landscape to the need for national reconciliation. A research consortium Emory University is leading has been awarded a five-year, $35.6 million grant from the National Institutes of Health to develop new strategies for preventing and curing HIV/AIDS. The new research partnership brings together an interdisciplinary mix of highly collaborative investigators focused on a wide range of HIV vaccine and cure research, with the aim of developing a potent HIV vaccine that produces a broad and sustained immune response. 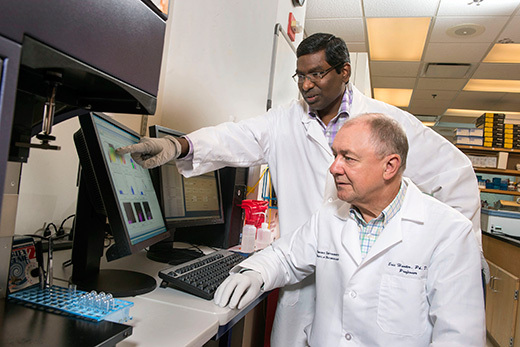 Investigators in the Emory Consortium for Innovative AIDS Research in Nonhuman Primates aim to develop advanced vaccines that provide sustained protection from retroviral infection. In addition, they aim to refine existing "shock and kill" approaches that seek to eliminate the virus from latent reservoirs in people who are infected with HIV, enhancing the possibility of a cure. It’s been 94 years since Coca-Cola heir Asa Griggs “Buddie” Candler Jr. created a stately mansion on a 42-acre estate about a mile from Emory University’s leafy Druid Hills campus. Long abandoned as a private residence, the home that came to be called Briarcliff Mansion would see decades of wear — through various incarnations — before Emory purchased the property in 1998. Now in decline, the grand manor that sits along Briarcliff Road has been effectively mothballed, primarily used as a colorful backdrop for film and television projects. 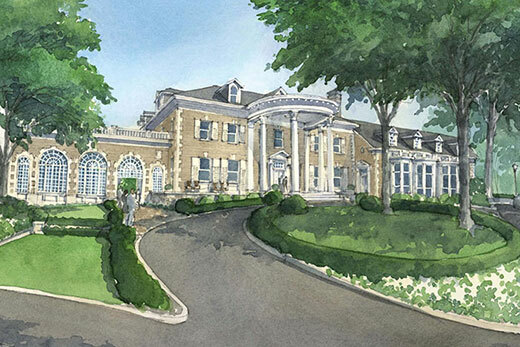 But a proposal by an Atlanta developer is poised to breathe new life into the historic mansion, creating an upscale 54-room boutique hotel and event venue. The Georgia State Properties Commission approved the proposal Dec. 15.